Abzena offers a suite of complementary services and technologies through its subsidiaries, PolyTherics, Antitope, PacificGMP and TCRS to enable the development of better biopharmaceuticals which will have a greater chance of reaching the market. Addex Therapeutics is a biopharmaceutical company focused on the development of novel, orally available, small molecule allosteric modulators for central nervous system disorders. Translating expertise in developing human therapeutic antibodies to the veterinary market. Offering service to develop antibody therapeutics as well as developing proprietary antibody therapeutics. ​Akaal Pharma is a clinical-stage biopharmaceutical company focused on developing novel drugs for the treatment of autoimmune and inflammatory diseases. Akaal Pharma has created a pipeline of novel small molecule drugs for the treatment of Psoriasis, Atopic Dermatitis, Multiple Sclerosis (MS), Ulcerative Colitis (UC) and others. Akaal Pharma has completed a Phase-1 clinical trial of its First-in-Class Topical drug AKP-11 for mild-to-moderate Psoriasis. Two Phase-2 clinical trials for the topical treatment Psoriasis and Atopic Dermatitis (Eczema) are underway. Akaal Pharma is also developing its Best-in-Class oral drug candidate AKP-210 for the treatment of Multiple Sclerosis (MS), Psoriasis and Ulcerative Colitis (UC). Akaal Pharma's business strategy is to partner its drug candidates with pharmaceutical and biotech companies for further clinical development, manufacturing and commercialization in exchange for upfront fees, research and development funding, milestone payments and potential royalties on product sales. Akinion Pharmaceuticals is focused on the development of a successful pharmaceutical for the treatment of acute myeloid leukemia (AML). AML is a particularly aggressive form of leukemia and there is an urgent medical need for more effective and safer therapies. At APIM THERAPEUTICS AS we focus on the development and commercialization of novel anti-cancer therapies potentiating chemotherapy induced responses in cancer cells. Our approach is based on targeting PCNA, a “hub” protein regulating cell responses to stress e.g. e.g. in response to several anti-cancer agents. Through development of innovative peptide drugs which contain a novel PCNA-interacting Peptide Motif termed APIM, the company offers a novel intervention point allowing cancer-specific tumor cell elimination. The company's lead drug, ATX-101, is set to enter the clinic in early 2016. ​Athera has a unique and in-depth understanding of the immunological components in atherosclerosis, the inflammatory process leading to cardiovascular disease (CVD). The lead product candidate, the fully human antibody PC-mAb, is in clinical development. In addition, Athera has developed a biomarker and companion diagnostic CVDefine® kit. The biomarker, anti-PC, is linked to increased risk for cardiovascular disease and could in the future be used for identification of patients that benefit from Athera’s novel therapeutics. ​First-in-class inhibitors against seasonal and pandemic influenza. Avexxin is a pharmaceutical company focused on developing and commercializing novel small molecule therapeutics for patients with chronic inflammatory conditions. Avexxin's advanced understanding of the biology of the inflammatory process has resulted in a novel therapeutic approach for the treatment of psoriasis and other inflammatory disorders. ​BerGenBio is committed to developing innovative drugs for immune-evasive, drug resistant, metastatic cancers. The company is a world-leader in understanding the biology of the epithelial-mesenchymal transition (EMT). This natural cellular programme is, when it occurs inappropriately, implicated in the development of immune-evasion and acquired drug-resistance in cancer cells. When EMT is inhibited with BerGenBio's drug candidates the cancer cells become visible and sensitive to the body's immune system and the effectiveness of commonly used cancer drugs is restored. Bicycles have the affinity and specificity associated with antibodies, but are much smaller in size and can be chemically synthesised. They have been shown to address targets not easily tractable with small molecules (e.g. protein-protein interactions).The company is exploring applications in a number of areas where these advantageous features have the potential to show significant benefit. Bicycle Therapeutics is backed by top-tier VC investors and is seeking to realise the full potential of Bicycle technology by developing an internal pipeline of bicycles into the clinic, as well as allowing partners access to the technology platform through selected R&D collaborations. ​We are a clinical stage biopharmaceutical development company dedicated to identifying, in-licensing and developing promising therapeutic candidates. Our current pipeline consists of clinical and pre-clinical candidates spanning a variety of indications including: central nervous system diseases, infectious diseases, cardiovascular and autoimmune diseases. BioSight is dedicated to providing hope and cure to cancer patients around the world. We seek to develop advanced therapeutics to enable safe and effective treatment for life-threatening diseases and to improve the quality of life for patients with cancer and related diseases. Canbex Therapeutics is dedicated to treating spasticity in multiple sclerosis (MS) and other disorders. Spasticity is a debilitating and painful symptom that consists of involuntary spasms and stiffness of limbs and torso. The goal of the Canbex lead programme is to improve the lives of people with this serious and incurable disorder, and set a new standard in the treatment of spasticity. Cellestia Biotech AG is a spin-off from Swiss Institute for Experimental Cancer Research at University Lausanne, EPFL, Switzerland. Cellestia is developing a first-in-class, pan-NOTCH inhibitor for the treatment of NOTCH pathway activation dependent cancer. It is the first compound targeting NOTCH centally in the cell nucleus (transcription complex), thereby controlling NOTCH activation regardless of its cause. In contrast to all competitors, Cellestia´s lead compound can also control NOTCH constitutive activation, a currently unmet medical need. For the lead compound, preclinical proof of efficacy has been demonstrated in vitro, animal models and, most importantly, leukemia patient derived blood samples, demonstrating selective killing of leukemic cells. ​Founded in 2009 by Nobel prize winner Professor Sir Martin Evans and Ajan Reginald, former Global Head of Emerging Technologies at Roche, CTL develops life-saving and life altering regenerative medicines. CTL’s team of scientists, physicians, and experienced management have discovered and developed a pipeline of world-class regenerative medicines. CellPly advances personalized cancer treatment by providing diagnostic tools for defining the efficacy of immunotherapies and chemotherapies on cancer and immune cells. CellPly platform analyzes small ex-vivo samples and rare cells immediately after obtaining them from patients and preserving microenvironment conditions to readily provide information about tumor cell sensitivity to drugs and in-vivo status of single immune cells located close to tumor cells. Our solution will help oncologists selecting the best treatment options, scientists studying cell response to therapy, and pharmaceutical companies increasing drug efficacy and rescuing drugs with limited efficacy through patient stratification. ContraVir is a biopharmaceutical company focused on the discovery and development of targeted antiviral therapies with two candidates in mid-to-late stage clinical development. ContraVir’s lead candidate, FV-100, is an orally available nucleoside analogue prodrug that is being developed for the treatment of herpes zoster, or shingles, which is currently in Phase 3 clinical development. In addition to direct antiviral activity, FV-100 has demonstrated the potential to reduce the incidence of debilitating shingles-associated pain known as post-herpetic neuralgia (PHN) in a Phase 2 clinical study. ContraVir is also developing CMX157, a highly potent analog of the successful antiviral drug tenofovir DF (Viread®), for the Hepatitis B virus (“HBV”) in Phase 2 clinical studies. CMX157 is active against HBV and more than 4 times more potent in vitro versus tenofovir. CMX157’s novel structure results in decreased circulating levels of tenofovir, lowering systemic exposure and thereby reducing the potential for renal side effects. ​Curetis is not your typical biotech start-up. We are rather a newcomer with many years of multi-disciplinary expertise. Over the past years we have created a healthy growth story. We have convinced our customers and partners, with our pioneering spirit, coupled with the simple aspiration „We care for Diagnostics“, our engineering prowess, and molecular biology and microbiological expertise. We are not a typical R&D driven company. We rather put our focus on commercial product development. We listen carefully and flexibly react to market and customer demands and needs. We strive to address these by way of pragmatic and intelligent solutions such as Unyvero. ​DC4U is a life science company developing technologies that enable steering the human immune response. Our GlycoDCTM technology can either potentiate or suppress the immune system via specific targeting of dendritic cells by glycan modified antigen conjugates. EMTensor GmbH is a young privately ­owned Vienna­ based medical device/technology company specializing in the research and development of novel 4D electromagnetic imaging devices, unifying anatomical and functional capabilities in a single technology. Genetic Microdevices Limited is developing an advanced system that performs extremely efficient DNA and Protein analysis. Our company is based in London England and has strong affiliations with leading research institutions in the UK. Our proven core technology dramatically increases resolution, sensitivity and throughput of electrophoresis based microfluidic systems. For those not familiar in the field, microfluidic "chips" are disposable miniature devices that can perform biological analyses in a convenient user-friendly form. One of the traditional bottlenecks of this kind of technology is that the analytical power of these small devices lags behind larger devices. Our technology removes these bottlenecks, allowing extremely resolving and sensitive miniature devices. Glide Technologies is a clinical stage development company focused on solid dose formulations of therapeutics and vaccines. Glide has a growing pipeline of products based on its proprietary solid dose injector, the Glide SDI® , which offers the potential of improved compliance in long term therapy and enhanced immune responses to vaccines. Glide’s pipeline of solid dose formulations includes octreotide, teriparatide (PTH 1-34), exenatide and anthrax and influenza vaccines. GreenBone Ortho srl is a start up founded in 2014 and located in Faenza (Italy). GreenBone is developing a highly innovative, bone regenerating, load-bearing implants to treat severe fractures and conditions such as trauma and tumours that result in extensive bone loss. The company’s patented technology transforms Bamboo into an established, widely used biomaterial, hydroxyapatite, to provide a bone graft scaffold with unique and never achieved so far mechanical strength, weight bearing and bone regeneration properties needed for large implants. New functional bone formation with GreenBone has been demonstrated in vitro and in vivo. GreenBone will begin human studies early 2017 in patients with non-healing (non-union) critical size fractures. The company is led by a world class team that has advanced multiple orthopaedic products from bench-to-market. At Helsinn, our vision is to help people with cancer get the most out of every day. So, as one of the world's leading cancer care companies, we are committed to making everything we do - from the products we choose to license to the exacting standards we apply to manufacturing- count towards improving the lives of people with cancer. We are a family-run company, and have retained our founding values of quality, integrity and respect, which guide everything we do. ​Leader in the field of immune-diagnostics, ImmunID provides tests which translate the complexity of the immune system into clinically meaningful data. ImmunID aims to bring its expertise in immune status to physicians and scientists from the academia and industry through reliable tools to evaluate the immune diversity of patients. ImmunID’s immune profiling tests provide doctors with information to guide the therapeutic decision for patients suffering from cancer and other life-threatening diseases. ​Inflamalps is a biopharmaceutical company established in Valais, Switzerland. Our mission is ‘’to discover and develop novel medicines to treat inflammation with a focus on chronic inflammatory diseases of the eye and of the skin”. Our team comprises experienced pharmaceutical industry and biotechnology company managers with significant track record in drug development, management and financing. Our focus is on developing topical treatments for inflammation-mediated diseases in ophthalmology and dermatology. InGeneron, Inc. was formed to innovate cell-based technologies for healthcare, veterinary and life science research. InGeneron’s advanced cell separation technologies enable preparation of adipose-derived regenerative cells, including stem cells, that have the potential to aid physicians and veterinarians in the treatment of a number of diseases, orthopedic injuries and cosmetic procedures. InGeneron is a privately held company, developing its own products for multiple markets and expanding its reach through licensing agreements. Enabling Precision Medicine to treat and prevent inflammation-caused diseases. We use Big Data and Machine Learning to provide B2B and B2C solutions for diagnostics, monitoring, and therapeutic decisions on major chronic inflammatory diseases. Our vision is to empower patients, payers, and providers with actionable insights in real-time. This significantly reduces risk and cost in drug discovery as well as the disease burden to society and patients. ​You need your enzyme to operate in harsh conditions, or in continuous processes? With its proprietary technology, INOFEA provides the adequate answer. We can immobilize your enzymes on silica particles, protect them against harsh conditions (pH, T, solvents, debris, etc.) and embed these process-ready enzymes in industrial solutions. Inventiva is a clinical stage drug-discovery company delivering breakthrough therapies in the area of oncology, fibrosis and rare diseases. Our most advanced clinical programs (IVA337 in systemic sclerosis; IVA336 in MPS VI) have demonstrated efficacy in relevant in vivo and in vitro models as well as safety in phase I and phase II clinical trials. A drug-discovery partnership is in place with Abbvie, where both companies join their expertise to advance a small-molecule therapy targeting various auto-immune diseases. Our in-house drug discovery platform, covering target validation, screening, chemistry, ADME and pharmacology, as well as our talented and motivated team, allow us to develop an innovative internal oncology and fibrosis discovery pipeline with approaches centered on transcription factors, epigenetics targets and nuclear receptors. Inventiva is a privately-held company with a solid financial base as a result of its successful collaborative relationships. ​Karus is focused on the design and development of two innovative classes of small molecule cancer therapies. These are potent, selective, orally-active inhibitors of the PI3K-p110β/δ and HDAC6 enzymes, with a primary focus on the treatment of a diverse range of solid and hematological cancers. LeukoDx, Inc. (“LeukoDx” or the “Company”) has developed the proprietary Accellix™ platform, which represents a significant advance in the automation of flow cytometry and provides considerable benefits over existing technology for a range of applications in the healthcare space. LeukoDx has generated a number of rapid assays for the Accellix™ platform that will culminate in the commercial launch of multiple products in 2016 addressing the rapidly growing cell therapy manufacturing market and the clinical diagnostics market. Marinomed is a biopharmaceutical company discovering and developing innovative anti-viral and immunological treatments. The company was founded in March 2006 as a spin-off from the Veterinary University of Vienna and currently employs 24 people (20 in R&D). 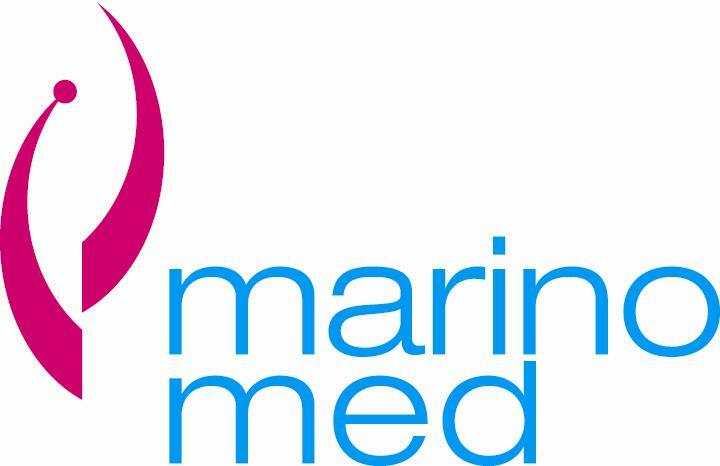 Marinomed has devoted its discovery and research efforts to the evolution of MAVIREX, a technology platform for the development of therapies that target more than 200 different respiratory virus strains based on polymers derived from red seaweed. The usability of this safe and effective technology has been proven by its first marketed product: an anti-viral nasal spray. The huge potential of the technology is reflected by Marinomed's additional products concentrating on influenza, combination products for asthmatics and other high-risk patients. In addition, the Company develops a novel treatment against type I allergy and autoimmune diseases. Marinomed Biotechnologie GmbH is a spin-off from the Veterinary University Vienna and is located in Vienna, Austria. Medimetrics is the pioneer and global leader in electronic oral drug delivery and is committed to innovating healthcare. Medimetrics has created the IntelliCap® system for precise delivery of drugs in the gastro-intestinal tract and the measurement and reporting of conditions in the body. It is the world’s first and only smart oral electronic drug delivery system. MedLumics is a medical device start-up born in 2009 from a compromise with improving human living standards by means of technology. Biophotonics is our central field of activity and our mission is to extract value from the exciting scientific and technological advances that are taking place in it, transforming them into innovative and high quality solutions for the global market. Biophotonics is a knowledge area at the crossroad between biology, medical science, physics and photonic technology, and its final goal is the development of diagnostic and therapeutic techniques utilizing the properties of optical radiation. ​MISSION Therapeutics is a private, drug discovery and development company focused on selectively targeting deubiquitylating enzymes to treat diseases of high unmet need. We have built a World-leading platform for the discovery and development of first-in-class, small-molecule drugs that selectively target deubiquitylating enzymes (DUBs) – an emerging, and hitherto intractable, drug class that is attracting significant commercial interest as the potential ‘Next Kinase Area’. 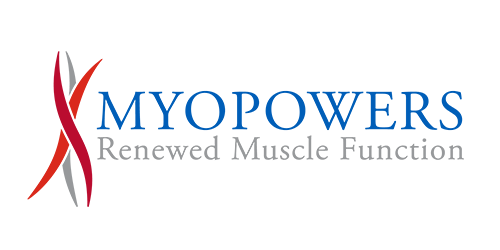 MyoPowers Medical Technologies is a French medical device company that develops innovative technologies to provide muscle assistance to patients with high unmet medical needs. The technology can be applied to a number of indications in the GI, cardiology or urology area. The company focus is the development of ARTUS, a new and unique implantable device for the treatment of stress urinary incontinence. Stress urinary incontinence is a condition that affects millions of people around the world. Unfortunately, currently available products are old with significant limitations such as tissue erosion, infection or mechanical failure leading frequent re-operation. ARTUS is made of smooth and flat silicon cuff placed around the urethra. It is individually actionable and adjustable with two remote controls, one to allow patients easy voiding, the other one to allow monitoring and adaptation by the surgeon. This device is the first artificial urinary system specifically designed to include the treatment of female patients who account for a vast majority of the urinary incontinence market. ​Numab is a Swiss biotech company that innovates antibody-based therapeutics. Numab’s strength is the engineering of highly stable molecules with tailored pharmacological properties (e.g. multi-specific products with short or long half-life). Numab entertains a pipeline of proprietary antibody-based programs and offers collaborations to discover innovative antibody-based therapeutics on behalf of its partners in the pharmaceutical industry. 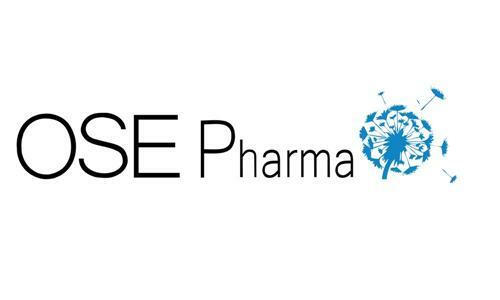 ​OSE Pharma is a biotechnology company based in France, developing immunotherapy products against invasive/metastatic late-stage cancers. Its technology, called Memopi®, helps the immune system to eliminate malignant cells: it re-educates the body’s immunological memory so that the immune system (and particularly T cytotoxic cells) attacks tumor cells by increasing the patient’s specific cytotoxic T response against their cancer. ​Oxford BioMedica is a pioneer of gene and cell therapy, with a leading industry position in lentiviral vector and cell therapy research, development and manufacture. PRAGMA Therapeutics is a French biotech company, dedicated to the discovery and development of novel treatments for stress related disorders, and in particular for Post-Traumatic Stress Disorder. Founded in 2015, PRAGMA is a flexible organization led by an experienced team of international neuroscience leaders, and developing proprietary modulators that restore glutamatergic dysfunctions induced by stress. ProAxsis is developing a range of products for the capture, detection and measurement of active protease biomarkers of disease. ProAxsis was founded in August 2013 by Dr Lorraine Martin and Professor Brian Walker, School of Pharmacy, Queen’s University Belfast. By September, ProAxsis had won the overall Northern Ireland Science Park’s 25K Award for entrepreneurialism and in February 2014, the first seed investment from partners NetScientific plc and QUBIS Ltd was secured. In September 2014, they were the first company in Northern Ireland to win a prestigious Horizon 2020 SME Instrument Award. A range of ProteaseTag™ based Point of Care tests are being developed for the routine monitoring of patients with chronic diseases, such as cystic fibrosis and COPD. Activity-based immunoassays are being developed for research use within academia and pharma. ProAxsis also offer a highly experienced team who can provide clinical trial support services in regard to the specific measurement of active proteases within clinical samples as well as target validation. Provista Diagnostics, Inc. is a privately held molecular diagnostics company focused on developing and commercializing a new generation of proprietary blood-based diagnostic, prognostic and monitoring tests designed to address the unmet needs in breast and gynecological cancers. seiratherm GmbH is focused on the development, production and marketing of innovative medical devices in the area of TTM (Targeted Temperature Management). Our devices regulate the core body temperature of critically ill or surgical patients in a rapid, safe and effective way. Sophia Genetics was founded in 2011 to make Data Driven Medicine a reality. With the adoption of digital technologies, such as Next Generation DNA Sequencing, the healthcare industry entered the Big Data world raising new challenges in data protection and data analytics. We quickly recruited a world class team of 60 talented individuals, building a cross-disciplinary team that could understand and address those challenges. We always bet on quality, going into the details of the data, and similarly to Swiss watch makers, developed extremely powerful and reliable technologies to reach the highest possible accuracy. As a result, we are today the only company in the field of genomics with both, ISO 13485 (medical device) and ISO 27001 (data security) certifications. Stratpharma’s dermatology team has many years of international experience in the dermatological therapeutic franchise with a current focus on scars. These products for scar management and abnormal scar prevention can be used alone or in combination with other more invasive therapies. The current products including Strataderm® hold existing registrations and are available in over 38 countries in Europe, Africa, North America and Asia. ​TaiwanJ is a specialty pharmaceutical company dedicated to the development and commercialization of first-in-class small molecules as TLR4 antagonists. TLR4 (Toll-Like Receptor 4), a transmembrane protein, is a key mediator of inflammatory responses and a member of TLR family of receptors, mainstays of the innate immune system. Recently, TLR4 has attracted considerable clinical attention and is the subject of a number of published studies on inflammation associated with chronic liver disease, inflammatory bowel disease, cancer, and diabetes, as well as organ damage to the kidney and lung. The Company's drug development strategy is to reduce time-to-market, lower clinical risks, and minimize development costs by re-profiling approved drugs. In addition, the company is developing a rich pipeline of novel chemical entities (NCEs) for therapy to address chronic liver disease, inflammatory bowel disease, and rheumatoid arthritis, as well as organ damage to the kidney and the lung. Specific diseases targeted include liver inflammation, liver fibrosis, NASH, NALFD, and autoimmune diseases including rheumatoid arthritis and Crohn’s Disease. TaiwanJ seeks product development collaborations and strategic alliances to develop its pipeline of products into the market. The company plans to float an IPO by 2017 on the Taiwan stock market. Targovax is a clinical stage immuno-oncology company dedicated to the development of highly targeted immunotherapies for cancer patients. A leader in the immuno-oncology field born out of the merger in July 2015 of Targovax and Oncos Therapeutics, Targovax is headquartered in Oslo with offices also in Helsinki. The new company is developing two complementary and highly targeted approaches in immuno-oncology: a peptide-based immunotherapy platform for patients with RAS-mutated cancers and a virus-based immunotherapy platform based on engineered oncolytic viruses armed with potent immune-stimulating transgenes for patients with solid tumors. Both treatment approaches harness the patient’s own immune system to fight the cancer. ​At Therabron Therapeutics, we are working to change how respiratory diseases are managed. We are aiming to not only provide symptomatic relief, but also to improve long-term health outcomes and reduce healthcare costs. A privately held, clinical-stage, biopharmaceutical corporation, Therabron is developing a new class of drugs from the secretoglobin family of proteins. Our lead product, recombinant human CC10 protein (rhCC10), is a potent anti-inflammatory agent for patients with respiratory diseases. ​Tissue Regenix is a leading medical devices company in the field of regenerative medicine. The company’s patented decellularisation (‘dCELL®) technology removes DNA and other cellular material from animal and human tissue leaving an acellular tissue scaffold which is not rejected by the patient’s body which can then be used to repair diseased or worn-out body parts. The potential applications for this process are diverse and address many critical clinical needs such as treating vascular disease, heart valve replacement and knee repair. Vaxart is a clinical-stage company developing oral recombinant vaccines based on its proprietary oral vaccine platform. All Vaxart vaccines are administered using a convenient room temperature-stable tablet. The platform is suitable for a wide range of recombinant vaccine antigens. Lead programs are targeting RSV, norovirus and influenza. ​VAXIMM is a Swiss- and Germany-based biotech company that is developing oral T-cell vaccines as immunotherapy for patients suffering from cancer. Virometix AG is a privately held biotechnology company developing a new generation of vaccines and immunotherapeutic drugs for the prevention and treatment of infectious and chronic human diseases. In an increasingly global world there is a considerable medical need for vaccines to combat infectious as well as a number of chronic human diseases. Fast growing demands, health threats from newly arising complex viral and bacterial pathogens and increasingly stringent requirements for stability, safety and tolerability require new approaches to tackling current and future challenges. Rational molecular design, chemical synthesis and Virometix' proprietary Synthetic Virus-Like Particle platform technology allow for the rapid production and optimization of vaccine candidates with superior properties in terms of safety, efficacy and stability. Virometix is a spin-out company from the University of Zurich. Virometix AG was founded end of 2009, and is based in Zurich, Switzerland. ​Xeltis is a European medical device company dedicated to transforming the standards of care in cardiac valve replacement and vascular intervention. Xeltis is developing the first-ever bioabsorbable cardiovascular valves and vessels designed to allow Endogenous Tissue Restoration (ETR), a new transformational therapeutic approach in cardiovascular treatment. Zytoprotec is a clinical stage life sciences company based in Vienna, Austria. The Company’s lead product, PD-protec®, is a patent-protected solution for peritoneal dialysis. PD-protec® has moved into a randomized, blinded, multicenter Phase II trial at the end of Q2 2014. Next in Zytoprotec’s pipeline is ICO-protec, a cytoprotective PD solution to address the market for non-glucose based PD solutions. ICO-protec is in preclinical development. Since its inception in 2007, the Company has raised approximately EUR 17 million from its founders, from private investors, and from Austrian and European public agencies.